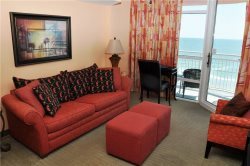 North Myrtle Beach is the perfect springtime destination. When you book by April 28th for vacation stays between February 28, 2019 and May 5th, 2019 you'll save 20% off your reservation with our Spring Break Special! No Promo Code needed! Discount is reflected when you search applicable dates and properties, and yes all of our prices include Bed Linens, Bath Towels, Departure Cleaning, and we even make the beds up for your arrival!! There's no better place to spend your summer vacation than on the Grand Strand. It's especially sweet when you can save between 10%-25% on your reservation! Book by April 28th for vacation stays between June 1, 2019 and August 24, 2019. No Promo Code needed! Discount is reflected when you search applicable dates and properties! and yes all of our prices include Bed Linens, Bath Towels, Departure Cleaning, and we even make the beds up for your arrival! !